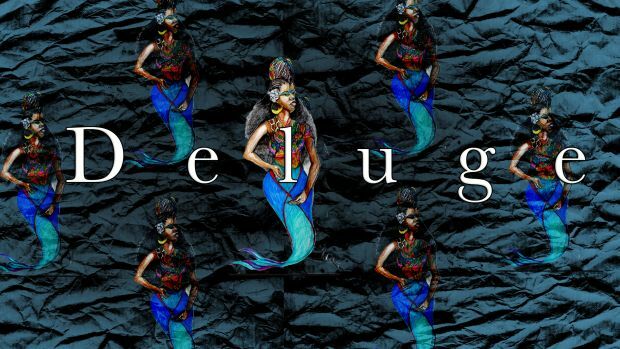 Deluge is a short film that explores African American’s relationships to water, informed by such traumas as The Middle Passage, the BP Oil spill, and Hurricane Katrina, through the lens of main character Tiana, and her introduction to an aquatic underworld. After witnessing the mass drowning of her friends and struggling with the decision not to jump in, 14-year old Tiana must decide if she will join the order of black mermaids that protect the oil-drenched waters of Lake Pontchartrain where her friends rest. This film is inspired by the 2010 mass drowning of six black teens in a Shreveport, Louisiana sinkhole. None of them could swim. The film blends coming of age drama, magical realism, and psychological suspense to explore traumatic memory in a post- BP oil spill New Orleans. A crowd-sourced fundraising effort currently underway ends Thursday, June 14. We reached out to Nijla to learn more about the inspiration behind Deluge. LM: The premise of Deluge delicately integrates themes such as environmental racism, spiritual relationships with water, Yoruba mythology, and the vulgarities of slavery. When sitting down to write this film, what did your research process look like? And I know you traveled to New Orleans for location scouting. How did being in that space help you develop this story? Since I was young, I’ve been fascinated with black history and people. My artistic practice is largely informed by continued research and exploration. I like to think this film is an extension of life passions that took root then. This film began as a poem I wrote in the wake of the BP Oil Spill. I was overcome with thoughts of water lineage and oil trauma, and what that meant for an order of black mermaids who I imagined as guardians of the ocean since the Middle Passage. Around this same time, I read M. Nourbese Philip’s book, Zong!, a poetic recapturing of the court decision regarding the Zong Slave ship where a captain decided to murder 150 Africans by drowning in order to collect insurance money. I also read Salt Water Slavery by Stephanie Smallwood, and was struck by a chapter detailing the many ways that captured Africans died on slave ships. There was a sense of agency in some of these deaths, be it throwing one’s self overboard, or the example of a man who purposely laid out on the top layer of a boat while it rained, and died there. And there were also murders- human beings used as bait for sharks and thrown into the water against their will, only to drown. When I transitioned from the poem into the screenplay, the story was a complete underwater narrative, complete with black mermaids and ancestral sea cemeteries. As I began to think of the project as a potential thesis film, I knew I wouldn’t be able to capture the full extent of that world in the time and budget I had as a graduate student. I had to figure out how to marry the above-ground story with the aquatic presence of the original idea. It may sound crazy, but the present structure for the film came to me in a dream. The dream revealed that there was a way to merge the story of the drowning and the black mermaids in a way that conveyed the depth and texture of both, and within a thesis film framework. Filmmaker Haile Gerima always talks of one’s dreams being the language of cinema. In this case, it was. I woke up, went to my laptop, and wrote the treatment for what would become Deluge. During my trip location scouting, I was further convinced that this film couldn’t come alive in any other location than Louisiana, and New Orleans specifically. This is a landmass that is so very dependent and linked to water, with areas below sea level. There’s water and moisture all around, the energy is wet, and I felt it all wash over me while there. The Gulf is also an important anchor for the mermaids in the film. I also wanted to play with themes of oil and its presence in the lives of people- to fry food, to use in our hair, to fix cars, to wage wars. Oil takes on so many meanings and I wanted to explore subtle associations between oil, toxins, teen sexuality, and water. Water as a metaphor for youth and life and, what happens when relationships to water are compromised by oil, industrial residue, and pollution. LM: This film was inspired by the mass drowning of six black teens in a Shreveport, Louisiana sinkhole. I vividly remember this story as it was linked to my fears of being unable to swim. I remember the story quickly disappearing from the public discourse. Can you talk a bit more why this story needs further exploration and deconstruction? When I heard about the story of these teens, I kept thinking about what their day was like leading up to the drowning; what they ate for breakfast, what their parents told them that morning, what their conversations were on the way to the Red River. I wondered if they had crushes and if they’d spoken with them that day. I also thought about the surviving teen and how he’d navigate life after such trauma. What would be his relationship to water in the aftermath of this? How would it inform their life? These are all questions and thoughts that overwhelmed me. They wouldn’t let go of me. In that space, I began to build scenes, moments, and characters that would become part of the film. I don’t consider myself to be the authority of black people’s relationships with water, or even the example of water literacy. I actually taught myself to swim as a kid and have encountered bouts of insecurities about my own competence as a swimmer. This film isn’t a PSA on learning to swim or even an advisory of what happens if you don’t. In so many ways, Deluge is my own personal investigation of water. I believe the most powerful films start as personal dialogues between a filmmaker and their subject, and then expand into something larger and layered. That is my aim with Deluge. There are no easy answers or solutions to statistics that black children are three times more likely to drown than white children. There have been, and there are systemic barriers to water access and training. There are toxins and pollutants in many natural bodies of water around urban neighborhoods and communities. There is fear of water, there are insecurities around our hair getting “messed up” after we swim. There is water that isn’t safe to drink or shower in. There was a city that went underwater before the government cared to respond. Some pools were doused with bleach and acid when black people tried to swim in them. There are so many multi-layered conversations to be had around black Americans and water, and how we can start to collectively reclaim and embrace water. The Shreveport drowning initiated my own conversation with these issues, and I’m hoping that Deluge continues it. LM: You wrote that the film blends elements from a poem you wrote about black mermaids born from the souls of Africans who jumped, or were thrown overboard slave ships during the Middle Passage. Can you share an excerpt of that poem with us? I am curious about this notion of the Black mermaid and how it reminds me of the story of the flying Igbo. Yes, I’ve included two stanzas of the poem below. The full, signed, framed poem is available to contributors who donate $25 or more to our Indiegogo campaign. LM: I glanced at your tumblr, aptly titled “Water Notes” and noticed a few images -- particularly an animated gif of THEESatisfaction's video for "QueenS" tagged as "mermaids". What is a Black mermaid? A large part of Deluge is the creation of the black mermaid ethos. I think there’s a common, accepted Western conception of mermaids that positions them as mostly sexual creatures that lure people, (mostly men) into questionable circumstances. In my imagining of the black mermaids, I referred to Yoruba mythology, which shifts that western idea of sea beings into a more holistic, universal existence. Black mermaids emerge here as descendants of enslaved Africans and specific types of fish- bettafish, neon tetra, just to name a few. They possess a command of their bodies and some of them are sensual, but not for the sole purpose of male consumption. I began a surrealist text/companion piece that details the origins of the black mermaids and their present endangerment in the midst of the Oil spill. That text, in addition to the poem, and several drafts of the script, portray black mermaids as distinct characters with different personalities, lives, and conflicts. On my tumblr, I frequently tag images “black mermaids” that inform my idea of these characters. In that particular gif, I am excited and moved by a collective group of black women moving to their own beat but also preserving something together, in that case music. My mermaids preserve spirits and memory in the water, though they may swim in different directions. LM: Your past work while non-traditional in theme, exist in a more realist genre. In Deluge you are pushing the boundaries of magical realism and Afrofuturism. Why must this story be told through this lens? My films often address themes of duality in black women and girls, or a certain twoness of being in multiple worlds while in one body. I’m also interested in personal versus public perceptions of self. Whether it’s duality of identity, religion, culture, sexuality, or race, I find the textures of these struggles compelling in the film form. I’m also interested in subverting people’s ideas of what a “political” film or medium is. While my films may be tagged political, they are actually very personal stories about people undergoing some type of conflict, and often universal in their themes. Deluge, while venturing into a more magical realm, centers on a character who is also between two worlds- her New Orleans family, friends, and community pre-drowning, and one of water trauma and black mermaids post-drowning. She is a precocious, intelligent girl who comes of age during this experience. LM: You will be working with Charles Burnett, the director of Killer of Sheep (1977) and To Sleep with Anger (1990). Why did you choose this director as your faculty adviser? This semester, I took a class with Charles called Advanced Staging. Under his guidance, students stage scenes from their scripts or existing films in class. This was one of the most beneficial classes I’ve taken as a filmmaker and student. As reflected in his films, specifically Killer of Sheep and To Sleep With Anger, Charles is the “master” of the moving master shot. There is something innate and instinctual inside of him that makes it all seem so easy. In class, he offers insight into how the camera can move with characters, flowing in and out of space as fluid as the mood evoked in the scene itself. This type of instruction is invaluable and I’m grateful to have it as I conceive of the visual design for Deluge. This is a film about water, about fluidity, but also about the roaring tide of trauma, and above all else, this will be a film that moves. Burnett’s films get at the core of family, of loss, and of history in a way that makes me want to step into them and dance alongside them. His insight on our project is invaluable in more ways than one can imagine. LM: One aspect of this film that immediately caught my attention was your collaboration with conceptual artist Kenyatta AC Hinkle. Why did you chose to work so closely with a conceptual artist? 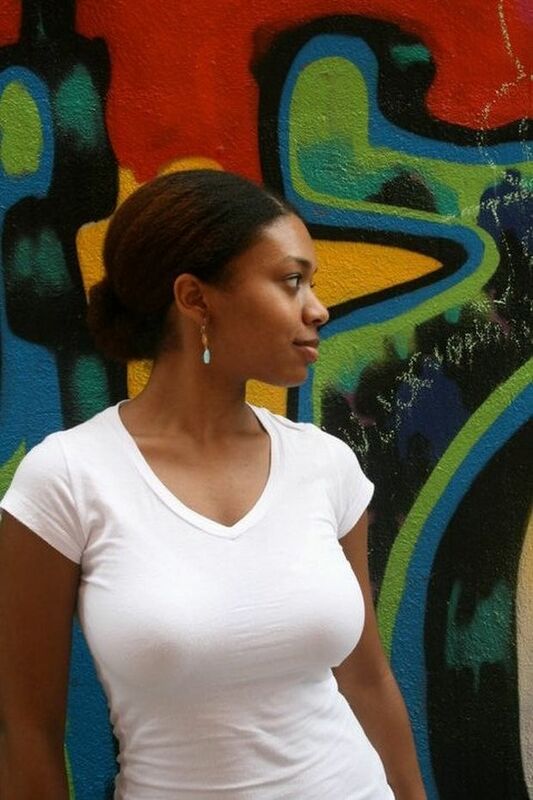 Kenyatta is a visual artist and writer who also attends Calarts. Her work extends across mediums and borders into explorations of lineage, personal geography, the power of naming, and black hair. We’re honored to work with her. It was extremely important for me to capture the image of the black mermaid characters early on so we’d be able to communicate our vision to potential costumers, art department, and film personnel, as well as to brand ourselves with an image the represents this stage of the project. The mermaid logo for our campaign contains the image that Hinkle designed. That is the “Merma” character in the script, and that image will be part of the poster rewards that contributors receive. LM: Creatives are constantly fundraising for their projects. What makes Deluge especially important to support? What sets this narrative apart from other narratives? You know, I’m always careful about presenting my work as “the first film that...” or in a way that brings down others. Ultimately, this is a story that won’t leave me alone. It’s a story and film that keeps me up way into the night obsessing and worrying about whether everything will come together in time to make it. It’s story that has enveloped my being and probably will until it’s picture-locked. I hope that dedication, that passion, the dozens of script rewrites, and determination translates into the project that people are reading about and thinking about as they browse our Indiegogo campaign. I want people to want to become submerged in this narrative. LM: With all the excitement around this film, what aspects of the film are your nervous about? Filmmaking is the ultimate test of nervousness but that usually means you’re passionate and will put that nervousness to the test. At this stage, I really have to trust my nervousness as a sign that all the hard work we’ve put in thus far will result in a project that accomplishes what we set out to do. For the past six months, I’ve lived in this elevated state of emotion, frustration, and excitement. I don’t think it will soon end. The test is to preserve my mind and body as the countdown continues. LM: As a filmmaker, whose work -- film, literature, music, etc. inspires your work? Oh my, so many people. Right now I’m thinking of Alejandro González Iñárritu’s work- Amores Perros and Biutiful. He has a compelling way of layering stories and emotion into a cohesive narrative and the impact is always so visceral and earned. I’m also thinking a lot about Haile Gerima and my experience taking his Third World Cinema class at Howard University. I don’t think I’d be the storyteller I am now without his insight. I’m also thinking about Martha Southgate’s most recent novel, The Taste of Salt. I finished it in one night and stayed up thinking about it for hours. It’s a cross-generational exploration of one black woman’s relationship with water and the ocean, reflected in her family’s alcoholism, and her career as a marine biologist. This book serves as one of the main reference texts for Deluge.